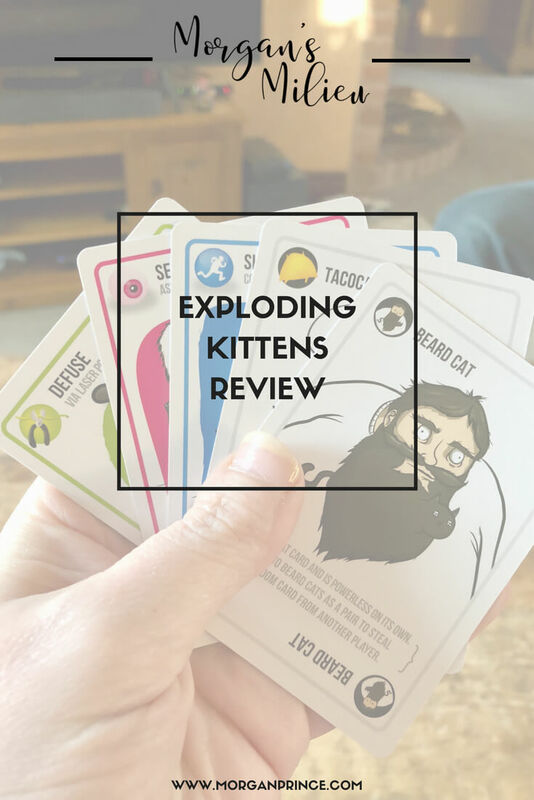 When I was sent Exploding Kittens as part of the Blogger Board Game Club I have to say I was a little unsure - I mean, who calls their game Exploding Kittens? I was seriously doubtful we would enjoy the game and to be honest wasn't looking forward to playing. But once again the saying holds true - never judge a book by it's cover, or a board game by it's name. 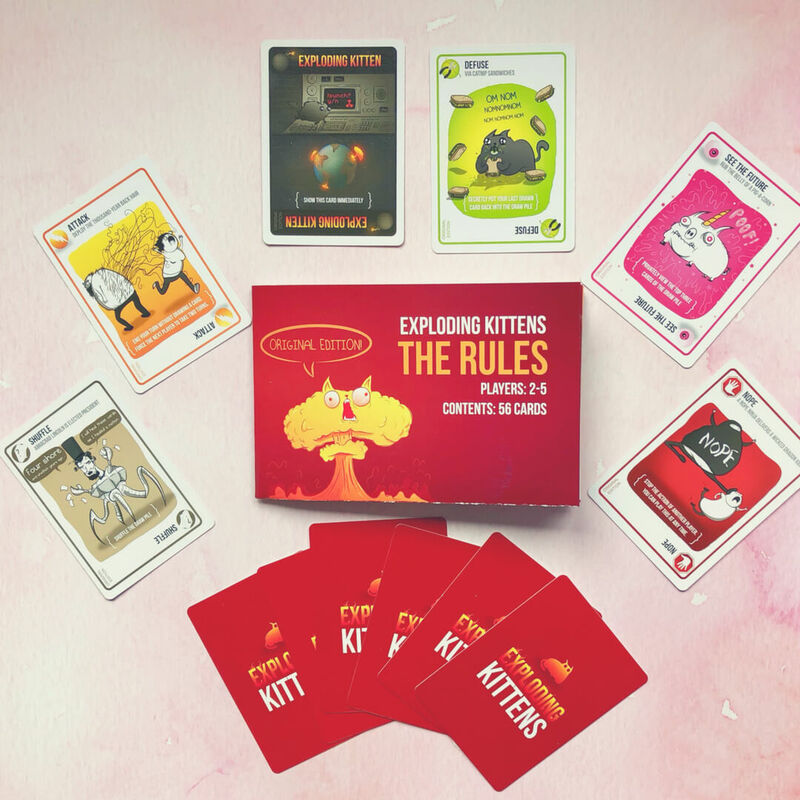 In this highly-strategic, kitty-powered version of Russian Roulette, players draw cards until someone draws an Exploding Kitten, at which point they explode, they are dead, and they are out of the game - unless that player has a Defuse card! These can defuse the Kitten using things like laser pointers, belly rubs, and catnip sandwiches. All of the other cards in the deck are used to move, mitigate, or avoid the Exploding Kittens. Even reading the blurb didn't get my hopes up about the game, but when I read it to LP he cheered and was looking forward to playing. For people who are into kittens and explosions... and laser beams... and sometimes goats. Super simple. All you need to do is remove the Defuse cards and the Exploding Kittens from the main deck, shuffle and deal 7 cards to all players. Then you insert 1 less Exploding Kitten cards into the main deck than there are players, so if there are 4 players you insert 3 Exploding Kittens into the deck. Then you deal 1 defuse card to each player and put the rest in the deck. Shuffle the deck and place it on the table, leaving room for a discard pile. All you should really see now is a deck of cards in the centre of the table and all players should have a hand of 8 cards. After reading the very short rules we got to playing the game. It took just a few minutes to set up and within 5 minutes we were playing. It's so easy to understand and even a youngster, maybe 6 or 7, could play. You basically choose a card out of the ones in your hand and place it on the table, then follow the instructions on the card. If you want to you can play more cards, or end your turn by picking up a card from the main deck. If you pick up an Exploding Kitten you are dead, out of the game, unless you have a Defuse card. 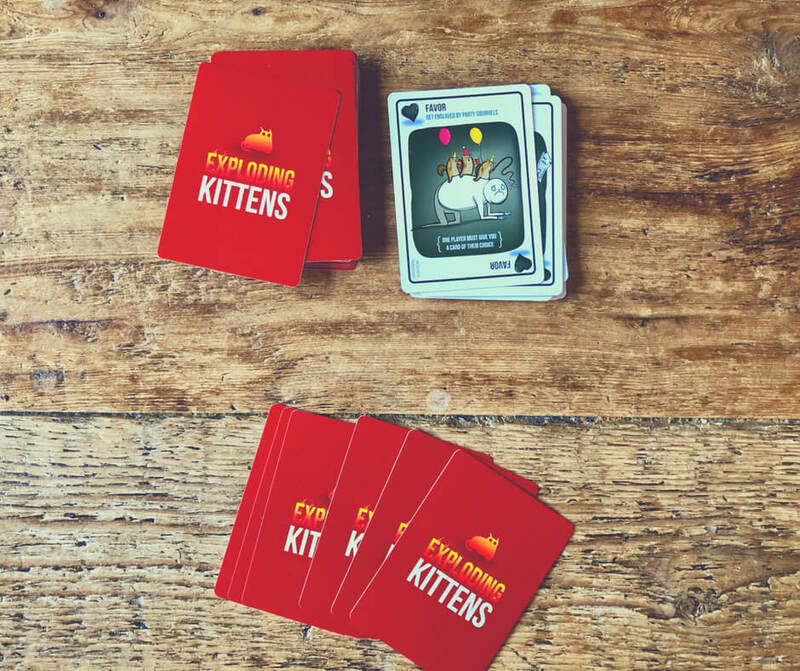 If you do have a Defuse card the Exploding Kitten gets put back into the main deck - you get to place it secretly wherever you want, you can even put it right on the top for the next player to pick up. The Defuse card gets discarded. You continue play until there is only one player left. This will always happen because you placed enough Exploding Kittens for all but one player. 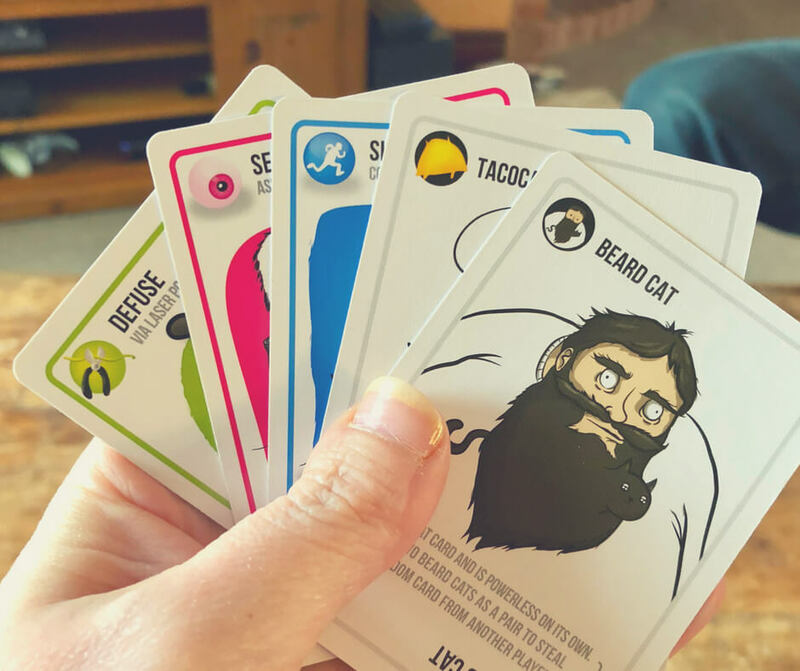 Exploding Kittens is a super quick, super fun game. All you need are the cards, so it's a good one for travel (maybe on a plane?) and it's fun for everyone involved. The descriptions on the cards are funny with amusing illustrations and the children will love it. The game is quick enough that you may want to play it again and again. It's also one the children could play alone with each other. 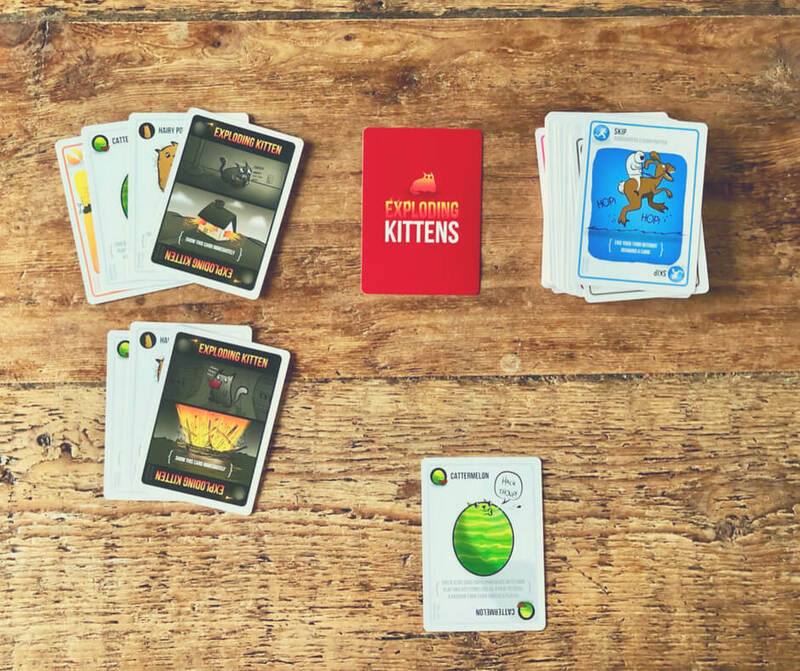 Exploding Kittens costs £19.99 and is meant for players aged 7+. There can be 2 - 5 players and playtime is about 15 minutes. Have you ever played Exploding Kittens?